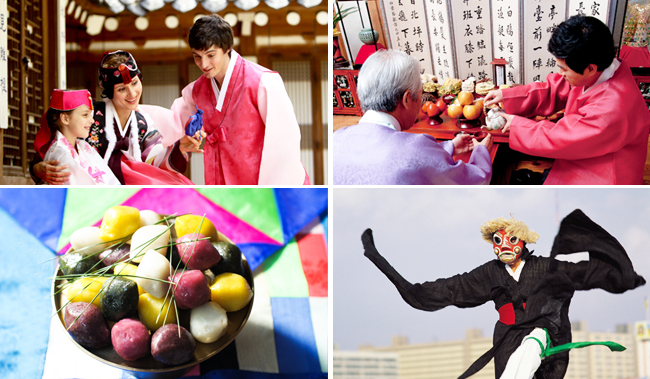 Korea Thanksgiving: "Chuseok - 추석"
Chuseok, which was also originally known as Hangawi or the time of an Autumn is a major Harvest festival in Korea or Harvest Moon festival, or in general Korean Thanksgiving. 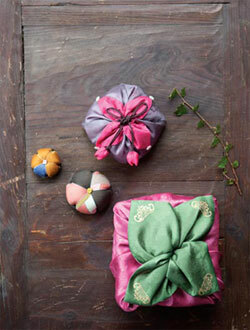 It is one of Korea’s most revered traditional holiday. Chuseok, a three day's holiday in Korea and it is celebrated on the 15th day of the 8th month of the "Lunar Calendar", it falls in ‘autumn evening’ and marked as the beginning of fall season and the end of summer (August 15 in lunar calendar). Chuseok is usually described as a kind of Thanksgiving for a good harvest, but it is really an ancient holiday dedicated to the Korean forefathers and the ancestors. There is a Korean saying that goes, "Not more, not less just like Hangawi (another name for Chuseok)." The saying refers to the fact that the Chuseok holiday falls on the best time of the year with moderately cool weather and warm sun and, more importantly, abundant food from the fresh harvest. Due to different date calculations between lunar calendar and Gregorian (Western) calendar, the date of Chuseok in Western calendar vary from year to year. According to , "The Three Kingdom" history book, written by Kim, Bu-Sik, in 32 AD, the story goes to the King of Shilla, King You Ree. As the stories goes that the king took women from 6 local towns and separated them into two groups. The King requested women's to make clothing to see who the better at weaving were. Both groups had a Team leader who were part of the of the king's immediate family, they were two of his many Daughters. The two princesses organized their groups and worked very diligently to foremost impress their father and secondly to be the better team at weaving. Because of this, the agreement became more or less into a contest and the losing side would have to prepare and serve dinner and drinks to the winning side. "Sound likes a great amount of hard work and stress." 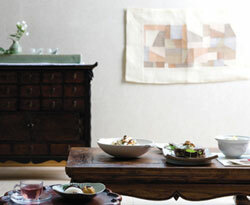 The women from the two groups weave clothing from the Hemp Plants that grow throughout Korea. They would gather these hemp plants and put the hemp into a simple pot, stemming the hemp then taking it out and putting it into a pot of fresh spring water. After the women dipped the hemp plants into the cold water, they would take off the outer covering and split the plant. From the separated hemp plant they would take strings and put them onto a spinning wheel. From there it was put on a loom and made into clothing. This was a very difficult and time consuming process but, since the King divided the women into two groups it becomes more or less a contest of skill. Both groups feeling the pressure to become the winning side work very hard. Within one month's time the King and Queen would decide which team of women were the better at weaving. Although the outcome was for the winner to be served by the losing team, everyone enjoyed the feast as well as celebrated with songs and dance. With only one exception the losing side had to perform a traditional song. The title of this song is, "Hoe So, Hoe So..." This song has a very sad and sorrowful meaning. As the time went on people change some of the context of the song and now the song's name has changed to "Hoe So Gok!" From this special event that King You Ree requested, was the beginning of a 2000 year holiday, the start of present day "Chu Suk." In the Asian Calendar year, "Chu Suk" was founded on August 15th. Although Chuseok is only for a day (this year is celebrated on 30th of September), this year the entire country will enjoy a 3-day vacation where most of the people can go back to their hometown and visit families and relatives. Chuseok 2012 falls on Sunday, 30th September 2012. 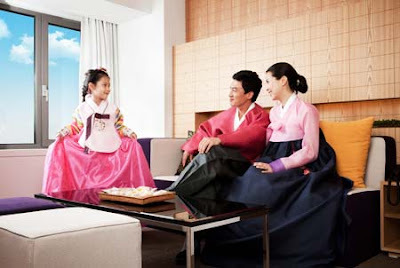 Korean Thanksgiving holiday starts from Saturday, 29th September 2012 until Monday, 1st October 2012. 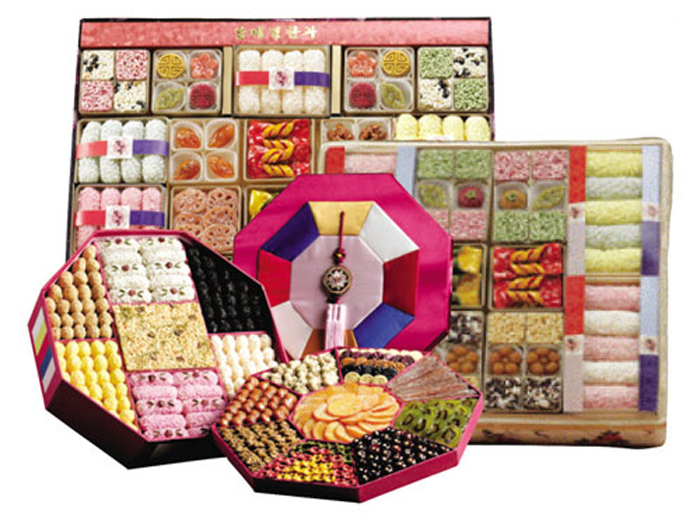 Chuseok is mainly a celebration of the good harvest, where the Koreans visit their ancestral hometowns and share feast of Korean traditional food such as "songpyeon" and rice wines such as "sindoju" and "dongdongju". Chuseok is by far the biggest and most important holiday in Korea. It is a time when family members from near and far come together to share food and stories and to give thanks to their ancestors for the abundant. Chuseok can be traced back from during the Silla Dynasty to celebrate the fall harvest, Chuseok has been the time for hardworking farmers or an agrarian people to share both agricultural products and the joy of harvest with family and friends. The tradition also can be traced back to ancient religious practices that centered around the significance of the moon, as the sun's presence has always been considered routine but the full moon that comes once a month. Big bright which shine upon the night sky, which considered a special and meaningful event. That is why Chuseok festival take place on the day of the full moon according to the lunar calendar. The hallmark of Chuseok is the solemn remembrance of ancestors. In Korean culture, it is considered an honor and duty to pay homage to the shrines of forefathers. After people arrive at their hometowns (usually to grandparents’ house or if they have passed away, to the first son of the family), the ladies of the house has prepared a table to honor and respect the ancestors. Usually food (fruits, meat, canned tuna) or money (in the form of department store gift certificates) are exchanged to mark the happy season. 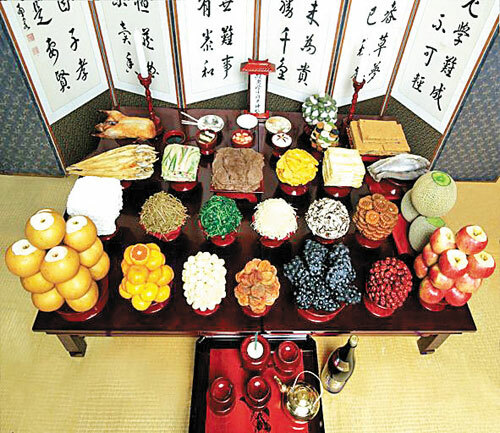 On the morning of Chuseok Day, Songpyeon (Korean rice cake) and other food prepared with the year's fresh harvest are set out to give thanks to the ancestors through Charye (ancestor memorial service) . Family visit their ancestors graves and engaged in Beolcho, a ritual of clearing the weeds that may have grown up over the burial mound. After sunset, families and friends take a walks and gaze at the beauty of the full moon and play folk games such as Ganggangsullae (Korean circle dance). These three are faithfully practiced today by a large portion of the Korean population. Charye is an ancestral memorial service performed at home on the morning of Chuseok in honor of their ancestors. (This Charye services are held twice a year, during Seollal or Lunar New Year's Day and Chuseok). At the altar for the ancestral ritual service newly harvested rice, household rice wine, and Songpyeon 송편(half moon-shaped rice cake)are presented . After the service, family members sit together to enjoy delicious food that symbolizes their blessings. After the family has completed the ritual service, visits are made to ancestral graves, and Beolcho and Seongmyo are performed. Beolcho consists of trimming the grass and pulling out the weeds that have grown on and around ancestral graves over the span of the summer months. Seongmyo is the last ceremony of Chuseok. Families visit the ancestors’ grave and make a formal bow of gratitude. Koreans might say there is no Chuseok without Songpyeon. 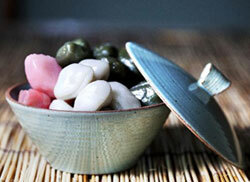 A special rice cake, it is prepared not unlike a dumpling. Songpyeon is filled with healthy ingredients like adzuki beans, black beans, mung beans, cinnamon, pine nut, walnut, chestnut, jujube, honey etc. Depending on one's taste, all or some ingredients can be used. This stuffing is then enveloped in kneaded rice skin. The name Songpyeon itself derived from the practice of layering pine needles when steaming it as "song" in songpyeon means "pine tree." The pine needles naturally form a pattern on the skin of songpyeon, thereby contributing not only to the sweet aroma that stimulates the taste buds but also to the cakes' beauty. Songpyeon is unique in that the skin used to wrap the filling resembles a full moon but its final shape when wrapped a half moon. These shapes are not coincidental. The history of Songpyeon dates back to times of the Three Kingdoms. Legend has it these two shapes ruled the destinies of the rival Baekje and Shilla kingdoms. During the reign of King Uija of Baekje, an encrypted turtle's back was found which read, "Baekje is full moon and Shilla is half moon." This puzzling code was interpreted to signify Baekje's impending decline and Shilla's rise -- and it came true when Shilla defeated Baekje. Koreans have therefore come to regard the half moon as an indicator of a bright future. This is also why families come together to eat half moon-shaped songpyeon under the full Chuseok moon to wish for next year's plentiful harvest while expressing gratitude for another successful harvest. On Chuseok day the most significant theme is having a good time. "Kang Kang Sue Wol lae", starts the night before Chuseok. It is a traditional ceremony of sort, where ten to twenty women gather together and form a circle and sing songs together, basically having a good time. This ceremony is only done by women. The ceremony is still done by Korean women but only by choice. During this time there is a song that is sung by the women who participate in, "Kang Kang Sue Wol Lae." A crucial part of Chuseok is the traditional food, but the traditional Korean folk games that have been passed down through the generations and traditional Korean dress hanbok are also equally important as people were hanbok and enjoy the day as well as in the night they play the traditional games. As Chuseok falls on August 15th in the Asian Calendar Year. During Chuseok, when the moon is full people in Korea believe if people make a wish to the moon, supposedly it will come true. So next time it is August 15th, Chuseok, and the moon is full make a wish you never know it just might come true. 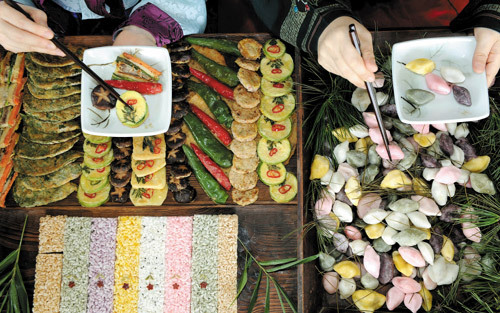 These days, Chuseok has lost a lot of its true meaning, with fewer and fewer people holding ancestral rites, and preparing smaller amounts of food to put on ritual tables and to share. But one thing remains the same about Chuseok, it is still a time of the year when family and relatives travel long distances to get together and pay their respects to their ancestors. I wish all the Korea blog reader as well as my blog readers a very hearty "Cheosok or Hangawi day".